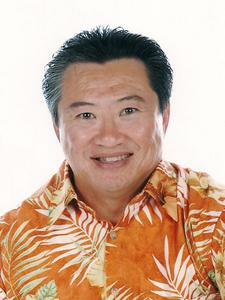 Dr. Hamlet H. Ong has been in practice for over 20years. He grew up in Fullerton ,CA having attended Servite High School, USC, and received his DDS degree from Georgetown University in 1988. He has always been practicing at this location since coming out of dental school and thus feels apart of this community. He has been on staff at the USC School of Dentistry for many years, in the department of Community Dentistry. He also a member of the American Dental Association, California Dental Association, and the Harbor Dental Society. Dr. Hamlet Ong strives to provide the most professional and comprehensive dental treatment to his patients in the most gentle and caring manner. In keeping up to date on the latest in dentistry, Dr. Hamlet Ong has taken many hours of continuing education in all facets of dentistry. Being a general and family dentist, he has treated patients of all ages from young children, teens, adults, and seniors. Dr. Hamlet Ong believes strongly in educating the patients about their dental condition and if needed, the treatments that are necessary and beneficial for them, including cosmetic dentistry. He looks forward to providing the best dental experience for all his patients. Dr. Hamlet Ong would like the opportunity to be your dentist. 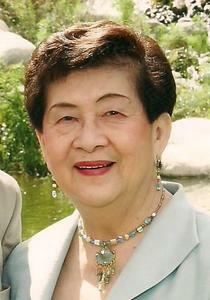 Dr. Sioe Hwa Ong originated the dental practice in 1973 in the city of Artesia, California. She was born in Indonesia and was a practicing dentist in her native country. She emigrated to America in 1969 and settled in southern California where she received her DDS degree from UCLA in 1971. She worked tirelessly in building a successful dental practice all the while raising 3 sons; two of which became dentists. The dental practice, situated on Pioneer Blvd for over 30 years, has been serving the communities of Artesia, Cerritos and surrounding cities. Dr. Sioe Ong strives to stay current on all the latest dental techniques having taken countless continuing education hours. Her efforts have earned her both a Fellow and Master designations from the Academy of General Dentistry. For many years she was on staff at the USC School of dentistry and was elected in the prestigious dental honor society, Omicron Kappa Upsilon (OKU). She is also a lifetime member of the America Dental Association and California Dental Association. For 30+ years in the dentistry, Dr. Ong always enjoy interacting with her patients and always strives in providing the best dental care to them.